Full transparency is vital to establishing real solutions to oil spills and oil theft in the Niger Delta. But those that resist this most are oil companies such as Shell. If they are committed to addressing the Niger Delta’s problems of theft, sabotage and oil spills, why will they not disclose the relevant oil spill investigation data? With that question in mind, here are 6 other questions Shell seems to be unable to answer about their role in oil pollution in Nigeria. Has Shell been completely transparent in their investigations? A secretly videoed oil spill investigation where Shell changes the cause from “operational failure” to “sabotage” – doing so unilaterally, with no evidence and after the official investigation was completed. There is also evidence that the methodology used for calculating oil spill volumes is flawed and underestimates the amount of oil spilt. Where is the data coming from? Shell’s claims about the proportion of oil spilt due to operational problems rely almost exclusively on data that is compiled by Shell itself, with little or no meaningful oversight. And what about the oil regulators? The weakness of Nigeria’s oil regulators has been widely exposed. Most recently, the U.N. Environment Program stated that regulators were “at the mercy of oil companies” when it came to visiting oil impacted areas. This echoed a 2006 finding by the U.N. Development Program which stated that “oil companies, particularly Shell Petroleum, have operated for over 30 years without appreciable control or environmental regulation to guide their activities”. 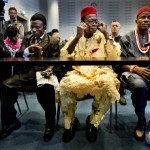 What is the condition of Shell’s infrastructure in the Niger Delta? For example, a U.S. diplomatic cable from 2008, published by Wikileaks, stated that a contractor with many years’ experience of laying pipelines in the Niger Delta told the U.S. consulate in Nigeria that “73 percent of all pipelines there are more than a decade overdue for replacement.” Oil theft and sabotage of oil pipes are serious problems in the Niger Delta. But they will only be dealt with effectively when oil companies also come clean about the scale of operational spills and the condition of their infrastructure, and cease to use them as way to avoid bad publicity about their environmental and human rights impact. Are oil spills in Nigeria really out of Shell’s control? A problem of large scale oil theft in the Niger Delta. The report focused on two kinds of theft: large-scale illegal bunkering operations involving organized extraction and transport (taps on pipes, boats for transport) and theft at export terminals, which it says are believed to account for most of Nigeria’s stolen crude. No doubt Shell will latch onto this report and – once again – attempt to suggest oil spills in Nigeria are largely outside its control. So what’s the distinction between oil theft and oil spills? Oil theft is not the same as oil spills. It is possible for theft to occur with little spillage. Small-scale theft may be more problematic in terms of oil spills than larger, professional operations. But the amount stolen is not the amount spilled. Data available on how much leaves the country as stolen oil underscores that oil theft figures are quite distinct from oil spill data. Oil theft does lead to some of the oil spill pollution that scars the Niger Delta. But establishing the extent to which oil theft, sabotage and aged and corroded pipes respectively are the cause of pollution requires something the Delta has never had: real transparency over the condition of oil infrastructure and the oil spill investigation process. There are currently two competing narratives about oil pollution in the Niger Delta. 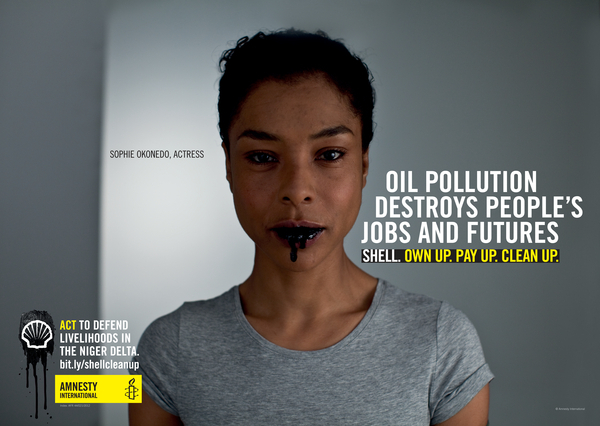 Amnesty International and other NGOs have put significant evidence into the public domain that demonstrates that Shell has underestimated oil spilled due to operational failures. The first is that oil companies, particularly Shell, are responsible for massive pollution caused by leaks from their operations and for the failure to clean up spills and protect their infrastructure from damage. This narrative acknowledges that oil theft and sabotage of oil infrastructure occur and contribute to pollution; however it cautions that theft and sabotage, as causes of pollution, are over-stated by oil companies in a bid to deflect criticism about their environmental impact. The second narrative claims that almost all spills are caused by oil theft and sabotage and that companies are doing their best to combat this scourge. It goes on to say that the failure to clean up properly is generally due to the communities not letting the oil companies into the area to do the cleanup. What both narratives accept is that the Niger Delta is massively polluted and that those living in the area are suffering the consequences. The former lays the blame substantially (although not exclusively) at the door of the oil companies and the government of Nigeria’s pitifully weak regulatory system. The latter blames the communities themselves, local militants and criminals. So which narrative is closer to the truth? Human rights organizations including Amnesty International and environmental groups share the first argument while oil companies promote the second. But the main difference between them is the evidence that underpins them. Amnesty International and other NGOs have put significant evidence into the public domain that demonstrates that Shell has underestimated oil spilled due to operational failures. This entry was posted in Africa, Amnesty Members, Business and Human Rights, Prisoners and People at Risk, United Nations and tagged Africa, Amnesty Members, Business and Human Rights, communities at risk, Corporate Accountability, international justice, nigeria, oil gas and mining industries, prisoners and people at risk, United Nations by Guest Writer. Bookmark the permalink.